The Cuisinart Elite Thermal Coffeemaker has brew pause feature that lets user enjoy a cup of coffee before coffee has finished brewing. 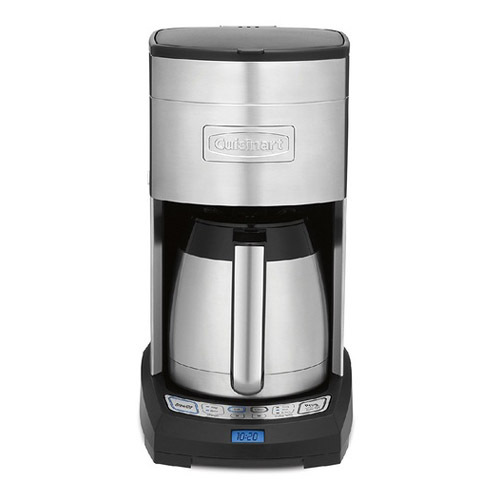 It is fully automatic with 24-hour programmability, self-clean and 1 to 4-cup setting. The machine brews up to 10 cups of coffee at a time with a large carafe having a drip-free pour spout and a wide-grip handle. This coffee maker has Adjustable Brewed Coffee Temperature Control that uses an internal heating system to provide three temperature settings - regular, hot and X-hot. 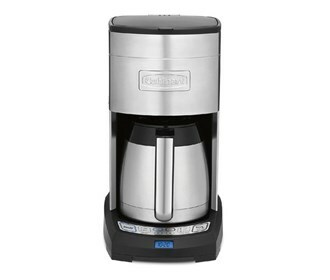 The Cuisinart Elite 10-cup Thermal Coffeemaker has many exciting features for users of all types. Feel safe about your purchase of a Factory Serviced Cuisinart Elite 10-cup Thermal Coffeemaker, knowing its been fully tested by FactoryOutletStore.